and I needed to bring something to our fifth grader’s Greek Pentathlon Feast. What’s better than saying you’ll bring a dish you’ve never made before to a potluck for 100 plus people? Promising to bring a dish and realizing you despise working with an integral part of the recipe, that’s what! Whoops. That’s never slowed me down before, sometimes you win in those situations and sometimes you lose. This one was ALL win. All win because I used PUFF PASTRY instead of Phyllo/Fillo/Filo dough and everything tastes better wrapped in Puff Pastry amiright? 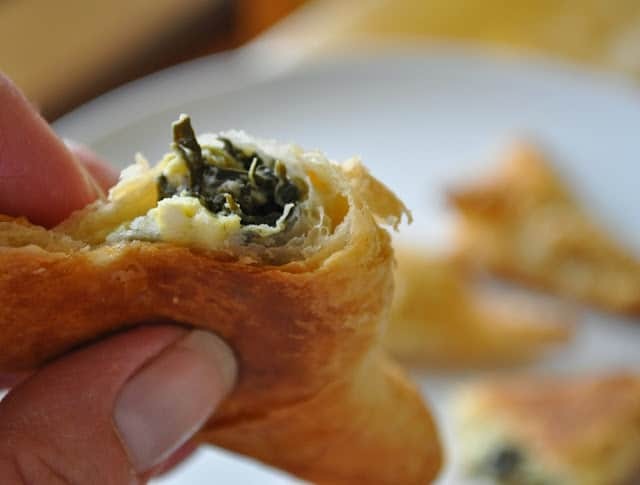 So basically I pursued a bunch of recipes and quickly discovered that other people used Puff Pastry instead of Phyllo/Fillo/Filo and they’d lived to tell the tale of making what I’ve come to call (in my head) a cheater’s Spanakopita. 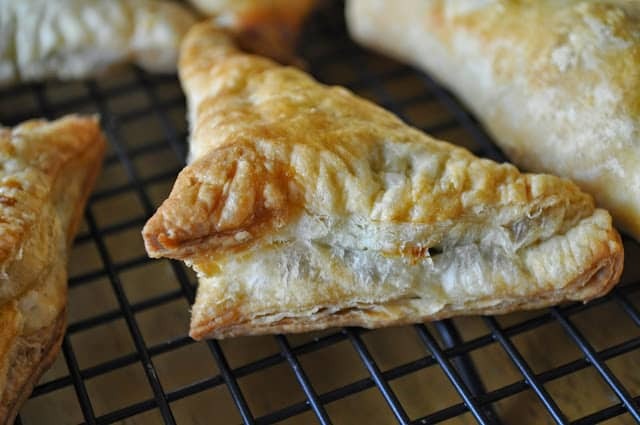 In fact theirs looked so great that I fully committed to making the Easy Spanakopita Triangles by hitting the dreaded “reply all” button on the email going around. 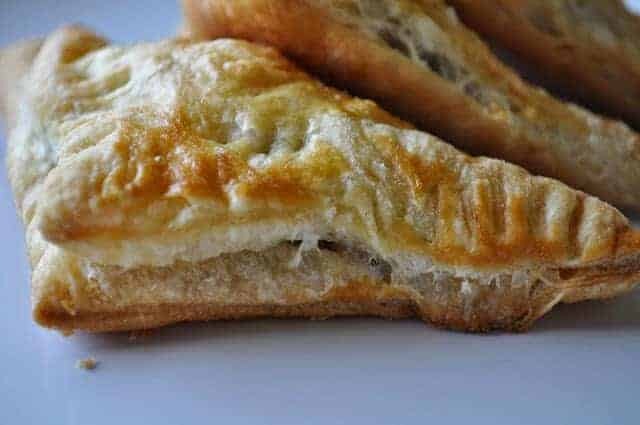 Apparently everyone loved the flaky crispy crust filled with feta cheese and chopped spinach as evidenced by their rapid disappearance from the tables, I’m thinking roughly 8 minutes flat and all 96 hand pies were gone. Have no fear I am not giving you a recipe for 96 Easy Spanakopita Triangles but rather 32 which is still enough to feed even a gaggle of preteen boys and maybe even get one for yourself. Of course if you have a lot of people to feed triple the recipe like I did or even quadruple it. They’re good served chilled so even if you have any leftover, highly doubtful, they’ll still be good the next day. Yum! 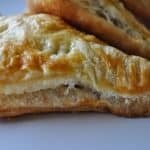 Sounds like a simple and delicious recipe! Bet my husband would absolutely love these.